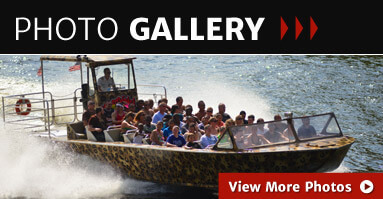 (The warmest part of the day) For all ages that are 43 inches and taller. 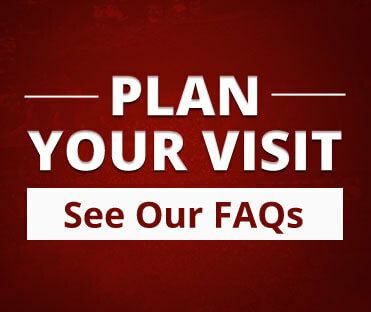 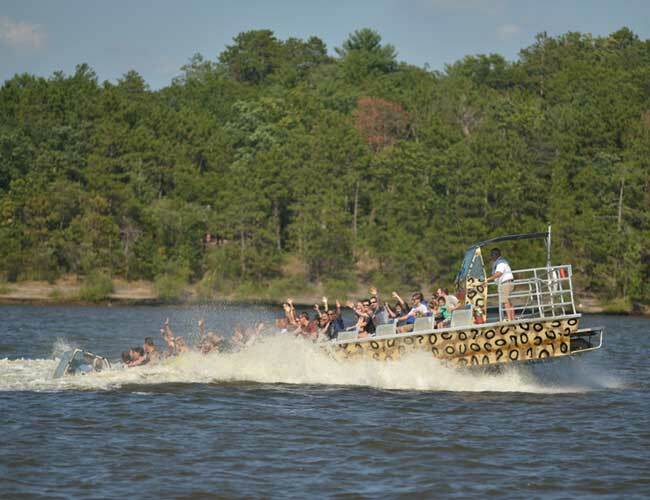 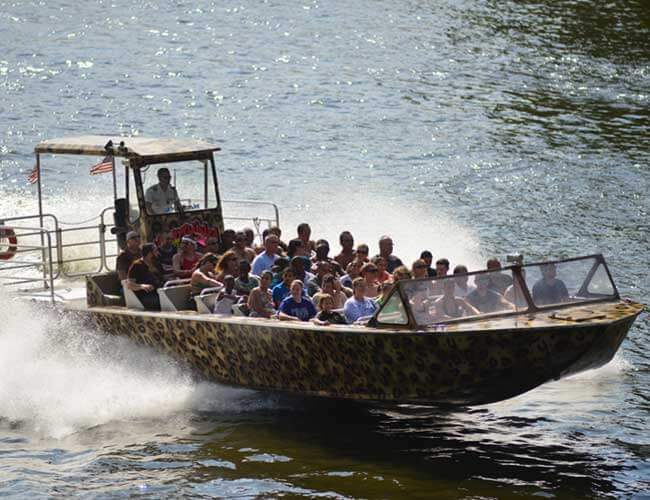 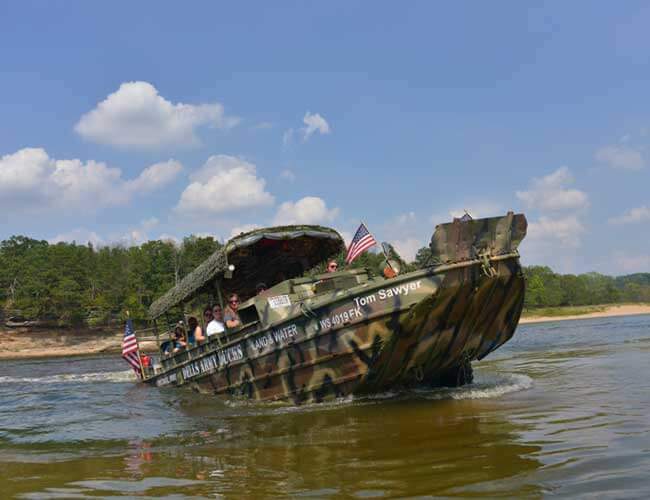 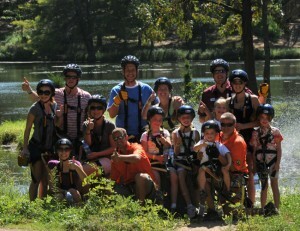 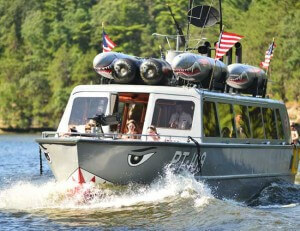 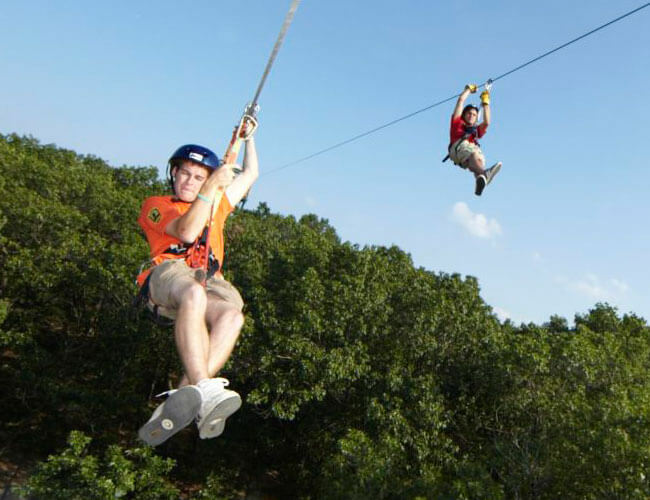 Climb aboard Wisconsin Dells’ most popular Jet Boat Tour and experience the thrill for yourself! 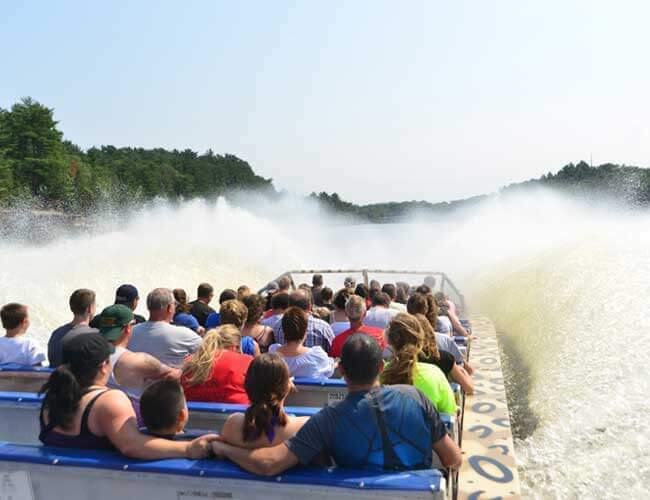 Hang on tight as WildThing’s three V8 engines thrust you past the towering cliffs of the Upper Dells of the Wisconsin River! With this Wet and Wild Dells boat tour, you can expect Power Stops, 360°-spins, and sprays of water that splash over the front of the boat! 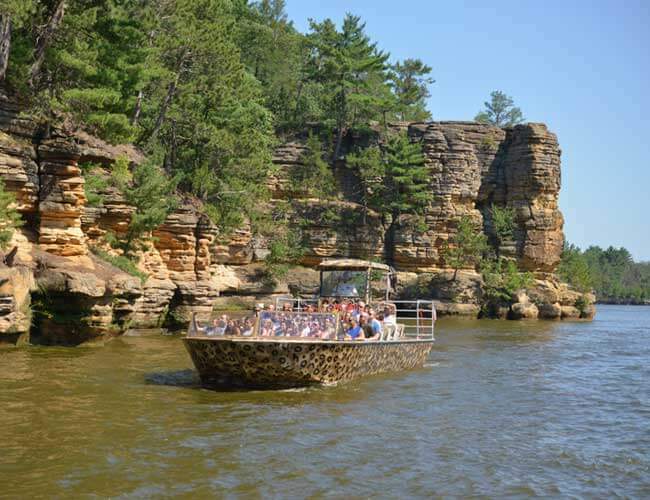 Our wild, 11-mile river excursion cruises through High Rock & Romance Cliff, navigates the treacherous Devil’s Elbow near Coldwater Canyon, and then flies up river past Sunset Cliff & Witches Gulch all the way to the northernmost point in the Dells at the head of the Wisconsin River Bay. 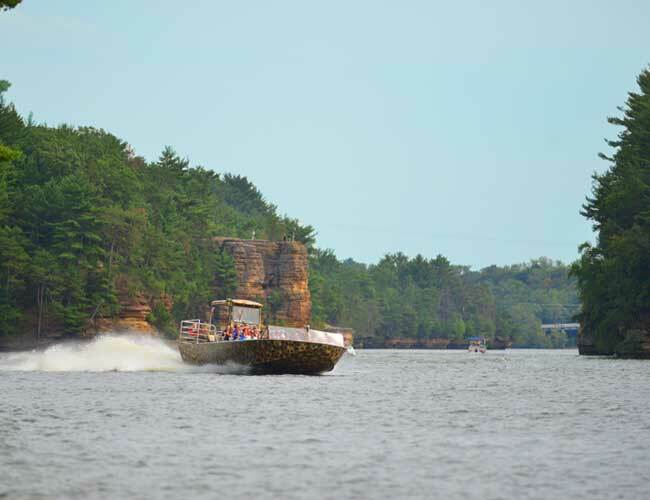 Your Captain provides a thorough historical tour of the Upper Dells, complete with a rockin’ soundtrack and a few cheesy jokes thrown in for good measure. 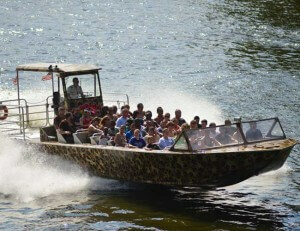 Be prepared to have the time of your life, and you might just get drenched in a little “liquid sunshine” along the way!